The WPP firm is helping the tourism organization explain that the U.S. is much more than just New York, Miami, and Los Angeles. WASHINGTON: Brand U.S.A. has selected Ogilvy to handle consumer PR, an expansion of the firm’s previous responsibilities overseeing global media relations for the tourism organization. Ogilvy has managed global media relations for Brand U.S.A., an organization dedicated to marketing the U.S. as a premier travel destination, since 2014. The six-month contract for consumer PR work started on January 1 with the potential for renewal. As part of its new assignment, Ogilvy is promoting Brand U.S.A.’s film, America’s Musical Journey. 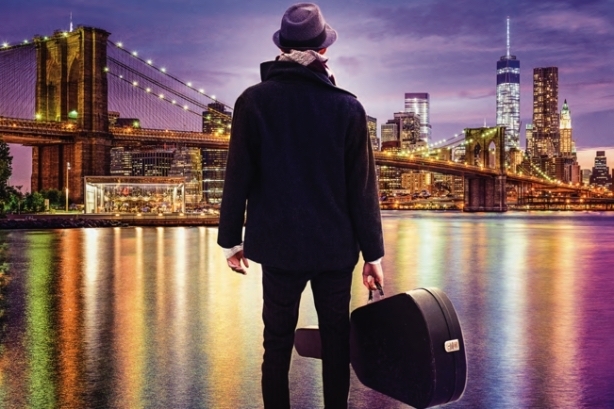 Morgan Freeman narrates the film, which follows singer/songwriter Aloe Blacc as he explores cities such as New Orleans, Chicago, Nashville, Miami, and New York City to trace the roots of American music. "There is an event in New York for the film, and the world premiere is in Washington, DC, this week," said Jennifer Risi, Ogilvy’s worldwide chief communications officer. "They create films to help promote the diversity of the U.S.A. story around the world because their big thing is they want everyone to know that the U.S.A. is more than New York, Miami, and Los Angeles." Ogilvy is also supporting Brand U.S.A. with the launch of GoUSA TV, a digital TV network focused on inspiring travel to the U.S. It is also helping the organization with several experiential activations in markets around the world. There was no incumbent on Brand U.S.A.’s consumer PR account. "Tracy Lanza [VP of integrated marketing for Brand U.S.A.] realized for them to reach consumers, they needed to have a robust comms plan for consumers, just like they have for the industry," said Risi. "So they realized it was something they needed to strengthen their overall marketing efforts." Ogilvy hired Alyssa Faden as VP of media influence on February 12 to lead Brand U.S.A.’s consumer PR work. Tola St. Matthew-Daniel, who holds the same title as Faden, is running the global media relations work for the organization. "We needed to bring in different skillsets to be complementary to the work that we are doing on the global media front, which is more corporate-based," said Risi. "Anne Madison [Brand U.S.A.’s chief strategy and comms officer] wanted to bring the global media work and consumer PR work together to drive awareness for Brand U.S.A. That is why she wanted to have the same agency [handling both]." The budget is in the six-figure range. Recent studies have shown that the reputation of the U.S. is suffering as people around the world are skeptical about President Donald Trump's leadership. However, Risi said that isn’t affecting tourism to the country. "Travel transcends politics," she said. "Tourism is still in a good place in the U.S, as is investment and job creation." A Brand U.S.A. representative was not immediately available for comment.